This was a fun collaboration with Motiv Design studio for a client holiday gift. The theme was inspired by Harry Potter, and each designer art directed their own packaging and messaging. 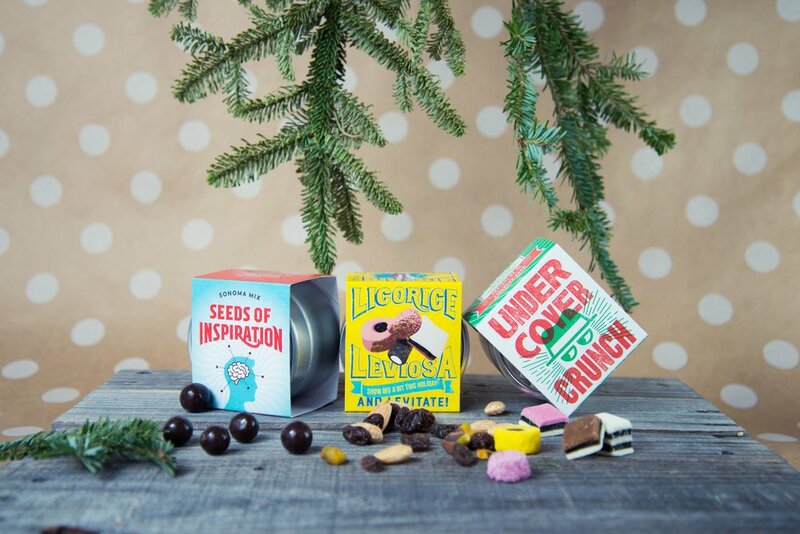 I designed the Licorice Leviosa as well as the cover packaging for the box containing the sweets. I used handlettering for both and photographed the end product seen here. I loved the creative energy the studio had while making these, and had so much fun with the typography and theme.